On Slavery - By Femi Akomolafe. 1994. In this essay I shall try to put slavery in proper historical perspectives, and show how the chattel slavery introduced by capitalism differs from all other forms of slavery. Introduction to the Middle Passage Web Site - The Middle Passage web site was developed as a Teacher's Action Project as part of a National Endowment of the Humanities Summer Institute for Educators entitled, "The Middle Passage: Making of the Atlantic World", held at Howard University. Teacher Resources! The Trans-Atlantiv Slave Trade - An event which destroyed peoples and whole cultures; an event which would depopulate a continent, changing it forever; an event which would enrich Europe, create empires, and build America. 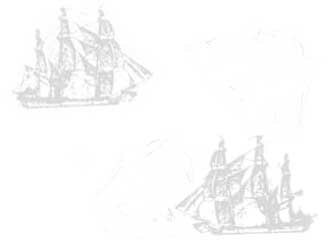 The Journey: The Middle Passage - This essay is divided into two parts. The first part explores the mechanisms of the journey and the second part deals with this horrific ordeal from the perspective of the African captives. Slave Trade - A general background of the slave trade. Pretty brief! Freedom Shackled - The slave ship, Henrietta Marie, speaks from its watery grave to give us the first true picture of the horror that men, women and children suffered in the Atlantic slave trade.